I really thought my days of being a mom to a little boy were over with my oldest, but I am actually looking forward to another stretch of trucks and dirt instead of princesses and dress up. And when he is just a little older, it will be fun to serve him sailboat hot dogs for lunch just because. Of course, if you are having a nautical themed party it would work really well too. 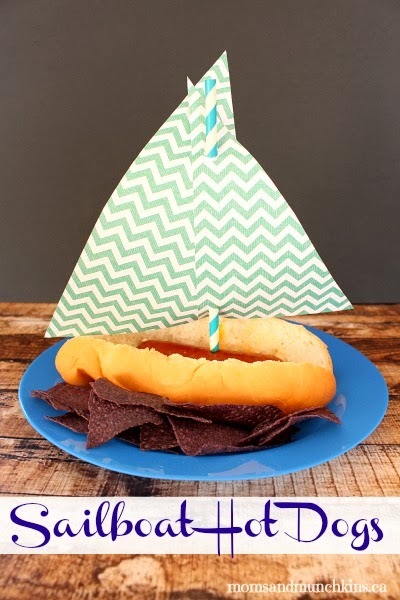 You can check out sailboat hot dogs and the other fun details of the Sailor birthday party over at Moms and Munchkins.